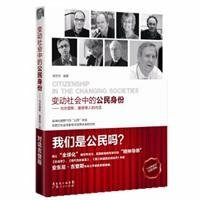 Read, listen and communicate,adopting the research method of to the site, the book examines two themes: development of modern society and political imagination of citizenship. The former is presented in the five dialogues with Giddens and the latter in dialogues with John Keane, Engin Isin and Thomas Jankski. The recorded dialogues in the book reflects the rise and interpretation of modernity and the social, political situations in the background of high modernity. Moreover, the book also unfolds before the readers a blocky picture of citizenship.